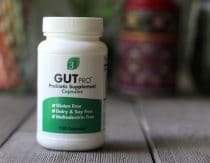 If you’ve been following nutritional health advice lately, no doubt you’ve heard about the importance of probiotics and prebiotics for gut health. After all, health starts with the gut, and a healthy microbiome is crucial to vibrant health. You’ve probably also heard that we should be decreasing our antibiotic use while increasing our intake of fermented foods, possibly taking probiotics, and eating lots of inulin and resistant starch prebiotics to feed our gut bacteria and keep them happy. For the majority of the population, this is solid, sound advice. However, if you have SIBO, which stands for small intestine bacterial overgrowth, all these wonderful practices can actually make you feel horrible. 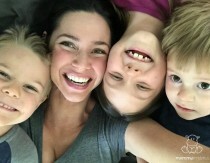 It can be really frustrating to realize that the steps that are making your friends, spouse, and kids feel incredible is making you feel worse and worse, but there is a reason and you can do something about it. When SIBO is present, practitioners recommend decreasing fruits and vegetables, decreasing fermented foods and probiotics, and possibly increasing antibiotics (including natural ones). Pretty much, you should be doing the opposite of what everyone else is doing! Small intestine bacterial overgrowth (SIBO) is exactly what it sounds like: there are more bacteria in your small intestines than should be there. Many people think these are “bad” bacteria, and sometimes they can be, but more often it is the beneficial bacteria from the large intestines that have migrated into the wrong section of your digestive tract. Essentially, it’s usually the good guys being in the wrong place at the wrong time. 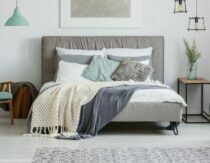 The immediate problem with this is your small intestine is, unsurprisingly, very small in diameter, and the gas released from the bacteria that your roomy large intestine can handle causes extreme pain and bloating when it fills up your small intestine. The indirect problem with this is that it causes inflammation which can stretch apart the cells of small intestine, eventually causing leaky gut. Leaky gut is considered by many experts to be a root cause of many common health issues: autoimmune issues, allergies, skin problems, depression and anxiety issues, hormone imbalances, food allergies, digestive issues, and more. Even the New York Times is talking about it these days. With so many symptoms that can indicate that you might have SIBO, it can be frustrating to try and self-diagnose. Furthermore, there are many other things which aren’t SIBO-related that can cause the above symptoms, so it’s important to get testing done to be sure. Luckily there are some pretty straight forward tests that you can do to know for sure. Is there a SIBO Test? There are two main types of SIBO, hydrogen and methane, which have their own specific tests. Furthermore, you can have both types of SIBO at the same time caused by two different types of organisms that require two different types of protocols. Hydrogen gas is released from bacteria in the small intestines, while methane gas is released from a different kind of organism called archaea. If you’ve never heard of them before, archaea were once thought to be bacteria, but it turns out they’re part of a different kingdom of organisms. It’s important to get both tests done to see which organisms you are starting with before moving forward with a SIBO protocol. There are two main types of SIBO, hydrogen and methane. Hydrogen SIBO occurs when hydrogen gas is released from bacteria in the small intestines, while the methane form happens when a different kind of organism – archaea – produce methane. It’s important to test for both because they require slightly different protocols. It is possible to have both at the same time. The most accurate, least invasive, and cost-friendly SIBO tests are breath tests. (source) However, you must insist on getting both the hydrogen breath test and methane breath test for an accurate representation of what is going on in your gut. (source) If you only get the hydrogen test but you have archea present, you’re likely to get a false negative even if you do have hydrogen producing bacteria present. That’s because archaea eat hydrogen and turn it into methane, so they “hide” the hydrogen the bacteria are producing. The hydrogen breath test will measure the presence of hydrogen-producing bacteria in the small intestines, while the methane breath test will measure the presence of methane-producing archaea. The lactulose test is a 3-hour test compared to the glucose test, which is a 60-minute test. While the 60-minute test option sounds more attractive, it can result in a false negative. It takes time for gases to travel from your intestines, into your blood, and out through your lungs. To avoid having to have a future retest, the most prudent thing to do is start with the lactulose test for both hydrogen and methane. (source) These tests must be requested by a doctor, but can be taken at home following a 12-hour fast and a special diet for accurate test results. 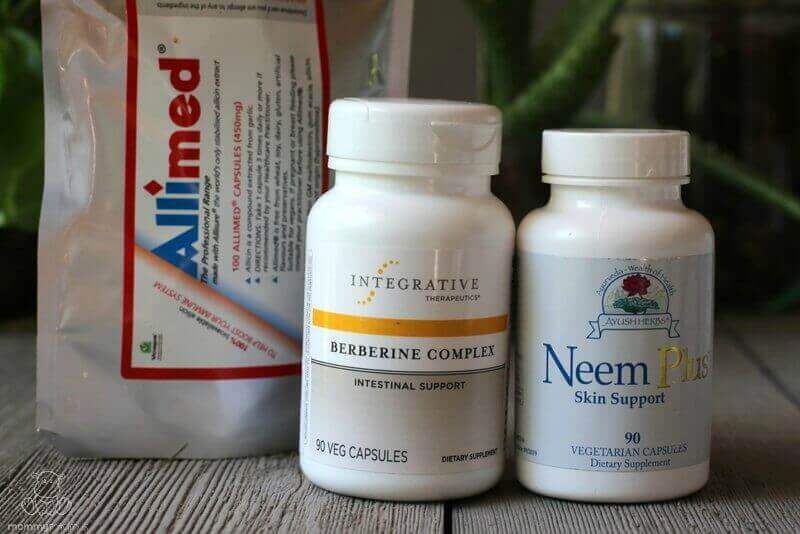 Furthermore, if the SIBO ultimately resulted in leaky gut, then gut-healing foods, supplements, and herbs will also need to be included to return gut function to balance in the long-term. 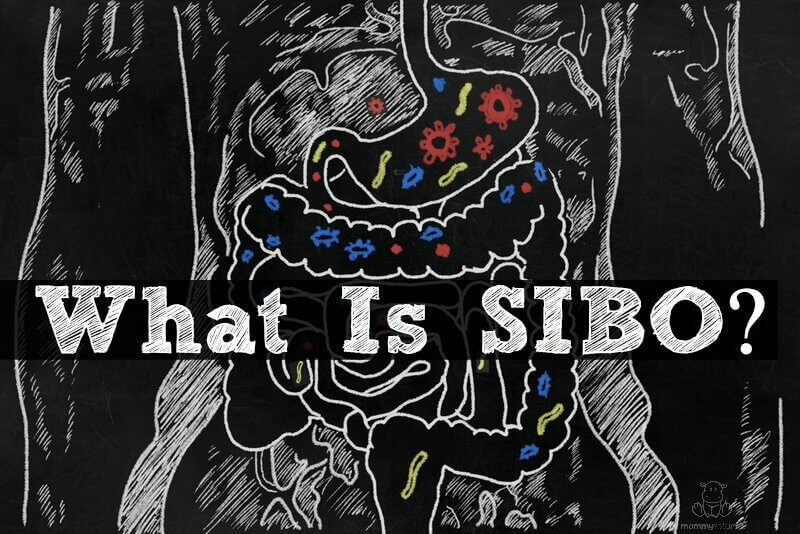 Once you have confirmed that you have SIBO, it’s very important to understand the difference between the way conventional medicine handles SIBO and the way holistic practitioners handle SIBO. It is also very important to be open minded about treatment options, because SIBO is very different from any other imbalance. The first step in healing from SIBO is getting the bacteria out of the small intestine. 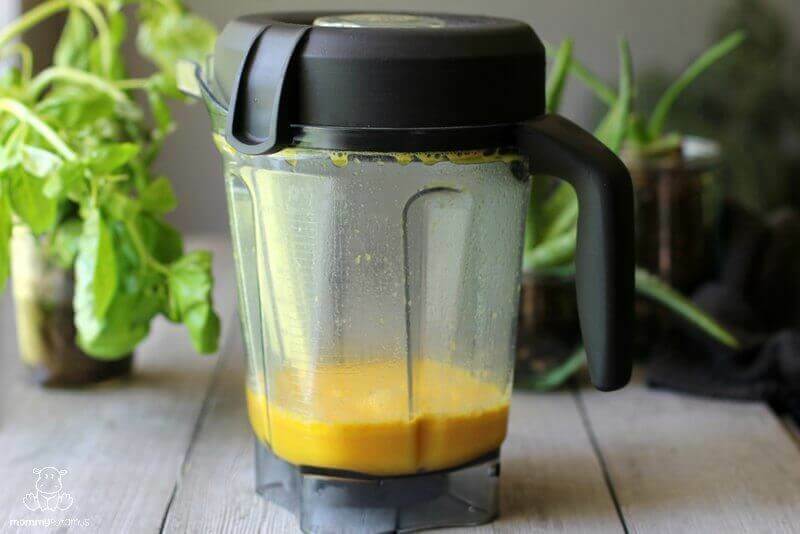 Conventional medicine handles this with antibiotics, while holistic methods handle this with lifestyle and diet changes as well as antibiotics, which are sometimes herbal and sometimes prescription. Archaea are resistant to antibiotics, which makes dietary/lifestyle changes and addressing any underlying issues even more important for restoring balance. SIBO has an extremely high rate of reoccurrence when addressed with just antibiotics alone. This is because while the antibiotics address the symptom of SIBO, it does not address the cause. Why consider an herbal approach to SIBO? Why would a natural substance be more effective than the prescription drugs which scientists worked for years to develop? The book Herbal Antibiotics by Stephan Harrod Buhner describes it well. He talks about how pharmaceutical antibiotics are isolated chemicals—meaning they are one chemical. Because they are only one thing, it is easier for bacteria to adapt to them and develop a resistance. By contrast, herbs are made up of many compounds. For example, garlic (which is one of the best known natural antibiotics) contains dozens of compounds. All of these compounds work together and can attack bacteria on multiple levels. It is much harder for bacteria to adapt to herbal antibiotics because of how complex the herbs’ structures are. What is a SIBO Diet? A SIBO diet requires a bit of cognitive dissonance. To decrease the bacteria overgrowth, it’s recommended that individuals to cut out all fermentable foods, including many fruits and vegetables, fermented foods, foods high in inulin and resistant starch, and probiotics. For individuals with moderate to severe cases, a SIBO diet often begins with an elemental liquid diet or an Ayurvedic gradualism diet. 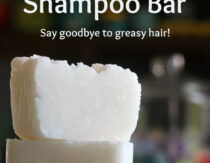 The SIBO Solution includes real food-based elemental formula recipes along with instructions for implementing the diet, including supplement recommendations. The second step – or the first step for people with mild cases that skip the first step – is a modified version of the SCD, FODMAP, and/or Paleo diet using whole foods. One example of a needed modification is that the SCD diet allows garlic – which is highly fermentable – and emphasizes fermented foods. 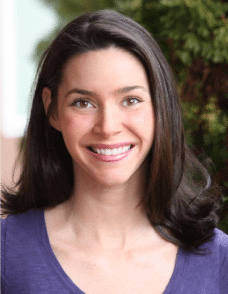 In The SIBO Solution, Sylvie includes several helpful lists of foods to include and foods to avoid. Once tests consistently verify that SIBO is gone, it’s important to focus on slowly restoring the normal gut flora by introducing fermentable foods one at a time, as well as introducing probiotics. Continuing to focus on improving motility, reducing stress, and maintaining an anti-inflammatory, low-toxin, and blood-sugar friendly diet long-term is crucial to making sure the SIBO doesn’t return. If you’re considering the SIBO protocol, I highly recommend pickup up a copy of The SIBO Solution. My husband is currently addressing sleep-apnea induced SIBO, where undiagnosed sleep apnea stressed his body to the point of inducing metabolic changes including SIBO. We are now addressing the apnea and SIBO, and Sylvie’s guide has been priceless. It covers everything from testing to supplements to what to eat (including recipes). Do you know someone who would benefit from knowing how to tackle SIBO? Share this article by clicking one of the links below. This may not help everyone with SIBO, but the homeopathic remedy Arsenicum album really helped me. Stephanie you may want to read up on how homeopathic remedies are made, specifically how they are diluted. Understanding exactly what those little numbers and letters mean on homeopathic bottles and the arguments made by the industry in regards to dilution and potency can be very enlightening. Stephanie is correct, homeopathic remedies work amazingly well for gut problems. I had SIBO, two years ago. I worked alone in a toll booth on the PA turnpike. I didn’t have easy access to a bathroom, and had diarrhea every night, plus I worked midnight shift. I would almost be in tears before work, and I ended up taking half an Imodium before work just to get through the night. Of course you know what that can do to the body too. I ended up taking the three hour hydrogen breath test and it was positive for SIBO, I was given a gut specific antibiotic, and I haven’t had trouble since. I was told my problem came from eating too fast and not chewing my food properly. I hope you will add that to your article as well, many people in this world today rush, rush, rush. Plus, people have a bad habit of rushing children to eat and clean their plate which can also cause stress and then lead to rushing to eat, which becomes a life long way of eating. I know, because it happened to me. Mary, please see a sleep specialist. I’m glad you’ve found some relief, but it’s not enough. My husband has sleep apnea. It can kill you. You can suffocate in your sleep. I’m not exaggerating. Take care. 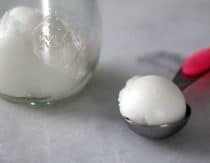 Instead of probiotic capsules works better the homemade fermented kefir from living organic kefir grains. But I don’t know if works with this diet or no. Available on Amazon from Fusion teas company. I bought once, and easy to make. Minimally processed the best probiotic. Doesn’t need any cooking, just strain out the grains from the whole milk & done.1 teaspoon has 10 000 probiotics. Something to think about: I have SIBO abd when I tried kefir it made it worse. Listen to your body and heal in stages, then try other items like kefir. I also have a yeast intolerance likely due to leaky gut, so kefir is a no no for me. I’ve tried ordering twice but it says the discount code is invalid. Hi Mamie! Someone else had the same issue and it turns out her caps lock was on. Maybe try again and make sure the caps is correct, then press the check mark to apply? If that doesn’t work let me know and I’ll put you in touch with Sylvie to troubleshoot. Hi, is the code still valid? I tried with and without caps. Thanks! The code is not valid — I tried as no caps and all caps. You mentioned you could provide a way to contact Sylvie for a valid code, is that still possible? I’m on Day 16 of the 21 day Elemental Diet, and although it’s been challenging, I’m really looking forward to being SIBO free! Would a special diet help with a person diagnosed with SIBO caused by surgical scar tissue? My GI doctor explained it to me ,”like a stream that has been blocked by debris, causing the bacteria to back up to the small intestine.” Numerous rounds of antibiotics help for a week or two (also cause stomach pain themself). Then right back to same symptoms ?. Been suffering for 28 years! Got a diagnosis 2 years ago (breath test) after being told 20+ years it was IBS or in my head! I am wondering if you found any relief in Chicago. I am also in Chicago and have seen a handful of doctors… not much luck and now I am attempting to tackle things on my own. Perhaps we should connect? !